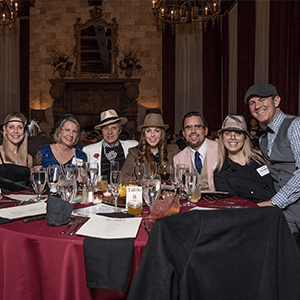 Houston Murder Mystery Dinner | The Murder Mystery Co. 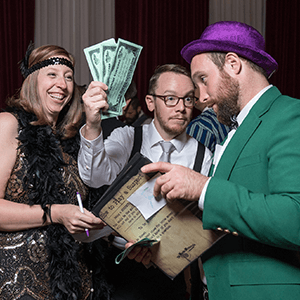 Put your sleuthing skills to use and host a Houston mystery party with The Murder Mystery Co. Our professionally trained performers will greet your guests, keep them engaged and entertained, and leave you with no messy cleanup! 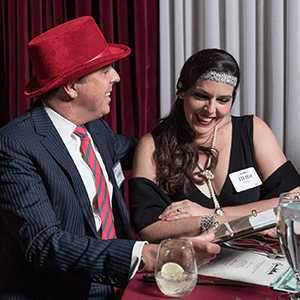 Live-action murder mystery parties are Houston's most unique and engaging way to entertain for privately hosted events. The Murder Mystery Company is Houston’s Expert in Mystery Entertainment. 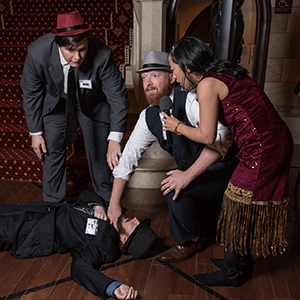 The Murder Mystery Company will make your next Houston event murderously fun. For any event of any size in the Houston area, we’ve got you covered. We can accommodate any size crowd at any venue! 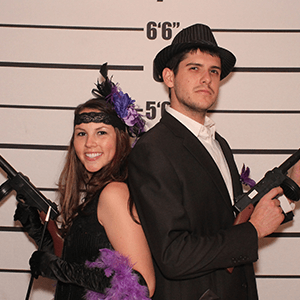 Put the perfect finishing touch on your party by planning with The Murder Mystery Company today. 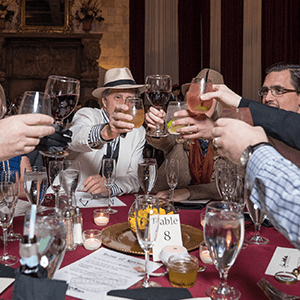 Turn your next night off into a killer night out with The Murder Mystery Company in Houston! Spend your evening partaking in a murder mystery adventure right at your table. Enjoy a tasty three course dinner while you sleuth. This is sure to be a murderously fun night for everyone involved!